Mike Muhney is the CEO & Co-Founder VIPorbit Software Int’l, Inc and co-founder & co-inventor of ACT!. VIPorbit improves marketing to customers and leads through iPhone contacts. Muhney is dubbed as the father of CRM. Muhney explains CRM and why he thinks it is the future of info marketing. He also discusses why social media can be bad for a company’s brand. Visit VIPorbit at www.viporbit.com. Jason Hartman: Hey it’s my pleasure to welcome Mike Muhney to the show. He is the CEO and cofounder of VIP Orbit Software International and the cofounder and co-inventor of a product I started using way back in the old days, and that is Act. The Act software for contact management and relational database and it was great, I made a lot of money with Act. So it’s a pleasure to welcome Mike to the show. How are you? Mike Muhney: I’m doing well Jason, thanks for having me. Jason Hartman: Good, where are you located today? Mike Muhney: I’m in the Dallas, Fort Worth Texas area. But I was born and raised in Chicago, so I’m proud of my Chicago roots. Jason Hartman: Okay great, great. Well tell us what you’re up to nowadays. How old is VIP Orbit? Mike Muhney: VIP Orbit iPhone version was first released back in mid-February 2011. February 2012 the iPad version was released. This past February we released a subscription service called VIP sync for people that had respected versions for both of those devices and wanted data syncing of course, cause the data resides on the device. And then 4 weeks ago we released the Mac version on the Mac app store and today it already ranks number one in the contact management category at the app store, and it’s also already listed in both the top grossing and top paid products for Mac applications. Jason Hartman: Fantastic. Well tell us what it does. Mike Muhney: Well I appreciate that. So let me tell you why it even exists. First obviously as the co-inventor of Act and using it all of those years, basically 20 years I abandoned it in 2006, etc., and went Apple, brought my first Mac desktop, got the first iPhone when it came out. By the end of 2009 I was a frustrated ex-Act user, not because I missed Act, I missed the functionality of what it had enabled me to do in creating a more successfully livelihood, which is what it’s all about. And not letting anything slip through the cracks, expanding your network etc., etc. So I had an iPhone that I could have only lustered for back in the Act era, because it’s with me 24/7, I mean you can’t beat that. As far as on demand, instant access, photographic memory, executive assistant capability, nothing could beat the phone. And so I set out to create it for the Apple global community which surprisingly Jason to this day until VIP Orbit has never had a device enabled, native to the devices, contact management capability. Nothing, I mean it was stunning and Apple is about ready to finally surpass 700 million iOS users in the world and 85 million Mac users in the world and nothing like this existed across the board. Unique to each device as well as standalone to each device, so it’s the first and we’ve already won a number of awards for it, etc. So off to a good start, but a big market to tap into and satisfy the likes of the Apple users out there. Jason Hartman: Okay so tell us what it does. What is the functionality? Mike Muhney: Alright so, meaningful business comes from meaningful relationship. So, social media is great for maybe learning about and starting introductions and communicating with a variety of people. But how do you keep up with them, and what kind of information are you keeping on and about each of them as the relationship grows and you want that sustainability as well as you know multiplications of relationships like that. VIP Orbit is the best way to manage your contacts, calendars and communication. For those of you familiar with that, think of a person as an aggregate of everything you know about them. Of course their normal business information, or personal. There are 14 user definable fields you can customize based on what you want, based on what you do. It can even generate reports as funny as that sound. I can attach all my activities to it. This call and your profile Jason was scheduled for this point in time and when we complete this I will complete the scheduled activity and it will automatically put it in your log file. So I’ll have a running chronologically sequenced, most recent through the oldest legacy of our relationship. And I can instantly call that up, but most importantly here’s what it does in my opinion. Unlike Act, and unlike most products it’s built on a concept of orbits and an orbit by definition is apart from the celestial, a person’s fear of power, resource and influence, who doesn’t want that. And Orbits can be anything you want. It could be your strategic alliances, it could be your customers, it could be your board of directors, it could be your country club buddies. It could be your poker club, it could be hotels you stay at as you travel. They could be unlimited anything you want in a person, and I’m gonna emphasize this; a person can be in unlimited Orbits. So you might be in my media orbits, which I do have. I have 60 orbits, by the way myself, but you also might be in my golfing buddies, or my poker club orbit right. And it’s not just putting you in an orbit, it’s what I can do with an orbit. I can send group emails, I can send group text, I can schedule group activities, I can update group information. So let’s say I send a group email to everybody in an orbit, let’s say it’s 100 people. Every one of those hundred people gives it as an individual you think that you got it just from me, right. From Mike to Jason Hartman, when it really went to 99 other people. So it went to all 100 and automatically across all 100 of their profiles, it automatically archived that I sent them that email or sent them that text, right. So it maintains that personal relationship. I’d like to say Jason you know the world we’re living in today is beyond business to consumer, you know B to C or B to B, it’s really a P to P, person to person. . .
Jason Hartman: I couldn’t agree more. Mike Muhney: And so what does VIP Orbit predominately do? It further enables and equips you to have a varied profile and stellar powerful person to person tool enabling you to expand more quantity of those people in your network without sacrificing any quality. Jason Hartman: Fantastic. So the uniqueness, so if you can try to distill that just maybe a little bit more between all of the products out there, I mean there’s so many nowadays, there’s Infusion Soft, there are tons of CRM programs. And then there are social media platforms which some people frankly are using as their CRM right? Mike Muhney: I would say that is correct, but I would say that they’re not using the proper tools in that regard. A lot of it comes down to the generational divide, you know the baby boomers versus millennials. We both have a lot to learn from each other, but social media I described as being public information, therefore my competition, if we look at this strictly from a business standpoint Jason, my competition has the same access to the information that I do via social media, and it’s about me, not about you. It ought to be called social me. How many friends do I have, how many followers do I have, etc. That’s an improper use of it and to think that I’m keeping good relationship management, contact management, etiquette and professionalism by using social media is not true. Contact management is about you and it’s private information, right? And my competition, I don’t want them to know everything that I’ve gathered on you. So they’re both two sides of a coin but they need to be kept in balance. And using one or just the other is out of balance. Infusion Soft, to your comment, is a mass mailing marketing management type of a solution. Powerful solution, as is Constant Contact and others. But that’s not the one-to-one, that’s not a meaningful relationship that I’m establishing with you in my network and getting referrals and working to earn the right for them, etc., etc. So one is meant to do mass stuff, one is meant to enable the capture of information on mass people, but keep them relationally on a one-to-one basis. So I’ll give you an example, just a practical example. So I told you I had 60 orbits. Recently I was up in Chicago and a month before I went up there I went to my Chicago orbit because I had a reason to go up there a month later. So I went to my Chicago orbit of everybody I know in Chicago land, 83 people, and I sent an email, and all I said was in the subject line, coming to Chicago end of February is what it said. And in the body I just said, “Hi, hope you’re doing well. I wanted to let you know I’m gonna be in Chicago the end of next month, if you’re able to get together I would love to. Let’s get together for pizza, beer, whatever, let me know. Take care Mike”. Real personal, right and it went to each person as an individual. I had 15 people out of those 82 respond to me Jason and so before I even made my hotel reservation and my. . .
Jason Hartman: You had places to stay, meals to. . .
Mike Muhney: Right, but the point is I multiplied my productivity 15 fold by doing it as if it was one person I sent that email to. So out of my 24/7 day that all of us have, I was able to get a lot more out of it than most people and we all sell, and selling is a numbers game. I don’t care what you do, what we all are are sales people right? And so selling is a numbers game, and I just deal with a whole lot more quantity without sacrificing that quality, and that’s the practical application use of it that I get. Jason Hartman: So someone can just use, say an iPhone app and they’ve got the entire program there, or do they need to combine it with a desktop version? Mike Muhney: No, good question and I appreciate that. The app, the VIP Orbit app is written for each device. They are truly standalone and the data resides on the device. They are not in the cloud, there’s no dependency or need for the cloud, nothing. Think of everything being resident to the device and written for that unique device. So there’s an iPhone version standalone. It’s free, by the way, at the Apple app store. The iPad version is standalone, it’s right now downloadable for free, it’s a try before you buy and then to upgrade from within it, it’s $5 onetime cost. Jason Hartman: So on the iPhone version is there an app upgrade, or is that. . .? Mike Muhney: Yes, the iPhone version is truly free. 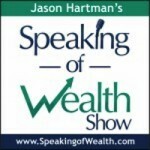 Jason Hartman: So what’s your monetization strategy? You just think you’ll get people using the other products or you’re get something else? Mike Muhney: No, good question. So the Mac version is written just standalone for the Mac, right? And so right now there’s a launch price special because it’s brand new of $30 onetime cost. It is going to go up in a matter of a few weeks here, but right it’s only $30. Act today to compare it to my other invention is $450 right? So enormous value, and as the co-inventor of ACT! you can imagine what kind of functionality I put in there, cause I need it too. How do we make money? Well the Mac version is the nice money maker obviously, but if you have two or more VIP Orbit versions, you need to sign up for VIP sync service, because iCloud only handles Apple’s products. iCloud doesn’t handle other vendor’s products or data. So if I want syncing between my multiple devices and I personally have an iPhone, iPad and a MacBook, so I’m a typical user. I pay $5 a month, every month or $45 a year if I buy it a year in advance. And that’ where we start to really make the money as a lot of things are freemium oriented today, so it’s kind of a freemium model. Jason Hartman: Yeah, good stuff. Well tell people where they can learn more about it, just VIPOrbit.com I believe, right? Mike Muhney: That is correct and I want to make this clear because it’s surprising how many even Apple users don’t know this. To download the iPhone or iPad version, obviously you can do that from the iPhone and iPad. You don’t really want the iPhone version on your iPad, but you go to the Apple app store for those too. For the Mac version you have to go to the Mac app store on your Mac to download it. So that’s the only distinction, you know Apple has two stores. Most people don’t realize that. Jason Hartman: I wish there were more apps for the actual Mac itself. I just like using the laptop so much. Either that or the phone and the iPad I sort of just use those to read and consume information. But yeah that’s great, good stuff. Mike Muhney: So we’re already under development for two new products that will be out in Q1 next year that’ll be. . .just think of it as work group, where I can share information, but one of the two products that we’re developing is in such a unique fashion of sharing that hasn’t been done anywhere in the world by anybody yet, and we’re gonna disrupt the market and bringing it to a whole different level than has ever been enjoyed or experienced by anybody. Jason Hartman: Oh boy that’s a big tease. Mike Muhney: I know but it’s true. I mean the people that I talk to, I’m talking venture capitalists, etc., have literally said this is going to be a game changer and that’s true. Jason Hartman: Is that in the world of CRM or something else? Mike Muhney: Well here’s my comment on CRM Jason. First of all CRM, I don’t really like the CRM per say, of course it’s powerful and I get it, sure I do, but it’s literally only good for inside my company, and therefore only good for customers and prospects. What about the rest of my life. Our lives today with all these mobile devices that we have with this 24/7. You know we can’t hide, we can’t not respond, you know fast enough to most people. There is no distinction between my personal and just life. Mike Muhney: Okay so CRM is a very restrictive product, very limited in how many people I can apply that too, and so I don’t want to be a CRM system per say. I want to be more of a life management system, and that’s what we are right now. Like I said I could have an orbit for customers, that’s business, but I could have my poker buddies, that’s personal. Jason Hartman: Yeah I got it. Good philosophy. Mike Muhney: I’ll make one more comment on CRM, which you can tell I’m very provocative on some of my ideas, but it’s what drives invention and perspective. I don’t know whoever really truly named CRM, Customer Relationship Management, I can’t manage you Jason, you can’t manage me. I can barely manage my kids, right? What I can manage is me. And even Reid Hoffman, the founder of LinkedIn said, “You know today, even if you work for a big company, every one of us is our own brand, every one of us is our own business”. How are you managing yourself? What I need to manage is me and what is it that I’m managing about me? Yes, my calendar, yes, all the information, but what I really ultimately needing to manage more professionally to distinguish myself from my competition is my reputation. And so if we want to keep those same 3 letters, CRM, why don’t we call it critical reputation methods, I imply. Jason Hartman: Yeah, I like it that’s good. Well Mike Muhney thank you so much for telling us about this today. And the product is VIP Orbit, and I wish you a lot of luck with it and I cannot wait to hear about the new product that you think will be such a disrupter while you and your funding sources think will be such a disruptor, maybe it’s more important that they think it than you do. We all love our babies, but what does someone else think. Well good stuff, thanks again for joining us today and let’s have us back on when you launch that new product you’re talking about too. Mike Muhney: Alright Jason, thanks a lot have a great day. Market Your Business Like Yahoo!